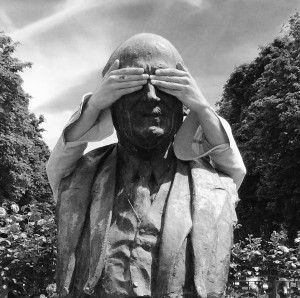 Last year we convinced Robert Schuman, the “Father of Europe” who’s been dead for over 50 years, to answer your questions in a 60-minute tweet chat. But then, what started out as a digital agency challenge meandered its way into something kind of special. Imaginations were captured. Futures were glimpsed. So I’m pleased to announce that Mr. Schuman has agreed to return this year for his second ever tweet chat. He’ll answer your questions about Brexit and borders; extremists and the economy; the failures and the future of the European Union. You may ask me anything now at #AskSchuman. To celebrate his 130th birthday on 29 June, Mr. Schuman will appear at the Twitter account @AskSchuman to answer your questions for 60 minutes. That’s the same day the European Council meets to breathe a collective sigh of relief panic following the UK referendum. Ask him anything now with the hashtag #AskSchuman. Richard Medic is founder at happeningo communicators and Soonfeed media.